Don Rosa’s masterpiece The Life and Times of Scrooge McDuck was re-released by Fantagraphics this month. The 12 chapters that make up Scrooge’s life story were printed in Uncle Scrooge comics #285-296 by Gladstone from 1994-1996. The storyline is everything that happens to Scrooge from 1877-1947 all the way up to his debut in Carl Bark’s Christmas on Bear Mountain. In 1997, Don Rosa won the Will Eisner Award for The Life and Times of Scrooge McDuck. This collection of stories has been published multiple times, but it has been out of print for a couple of years now. Before this new compilation was released, the best way to get these stories was to order Fantagraphic’s The Don Rosa Library Vol. 4 and Vol. 5. The big difference between Vol. 4 and Vol. 5 and this new release is that the new release includes all 12 stories in a single book, but it does not include the behind the scenes stories for each chapter which is included with The Don Rosa Library Vol. 4 and Vol. 5. This is to keep the size of the book and the price manageable. In the new book, there is a 2 page introduction by Don Rosa and then the 12 best stories on Scrooge McDuck’s life ever written and illustrated. I would normally include a synopsis on each story in this section of the review, but I don’t want to spoil anything in your journey into Scrooge McDuck’s life. If this book is called The Complete Life and Times of Scrooge McDuck, then why is there a Vol. 1 and Vol. 2? Great Question. Vol. 1 will be the Eisner award winning 12 chapter The Life and Times of Scrooge McDuck. Vol. 2 will include all of the in between stories in Scrooge’s life that Don Rosa wrote that add to the original 12 stories. Vol. 1 is the appetizer, entree, and dessert for a complete meal. Vol. 2 is a second entree and even more dessert. The Complete Life and Times of Scrooge McDuck Vol. 2 will release on October 15th, 2019. A two book box set of Vol 1. and Vol. 2 will also be released on that day as well. There is great value to this collection, and you know Scrooge McDuck loves a great value. If you try to hunt down all of these original comics, you would be lucky to find them on the second market for $10-15 per story. You are getting all 12 stories in this compilation currently on sale for $20 on Amazon. Believe me, I know from experience. I am such a fan of these stories that I decided that I needed to own all of the original Gladstone comic versions of these stories in my collection. I have obtained 7 out of the 12 comics so far. The plan is to get these comics signed at the next convention that I am at with Don Rosa in attendance. Speaking of things to have Don sign, The Complete Life and Times of Scrooge McDuck Vol. 1 is the perfect item to have Don sign at conventions. I could go on and on about how this collection is a must own for all Disney Duck fans, but if you have read this far, you already know that. Instead I am going to use this section to give you the links to where you can buy the books so that later on you can tell me how amazing it is. Thank you to Fantagraphics for allowing us to go through this Disney Duck journey. I feel smarter for increasing my Disney Duck knowledge base by reading this volume. 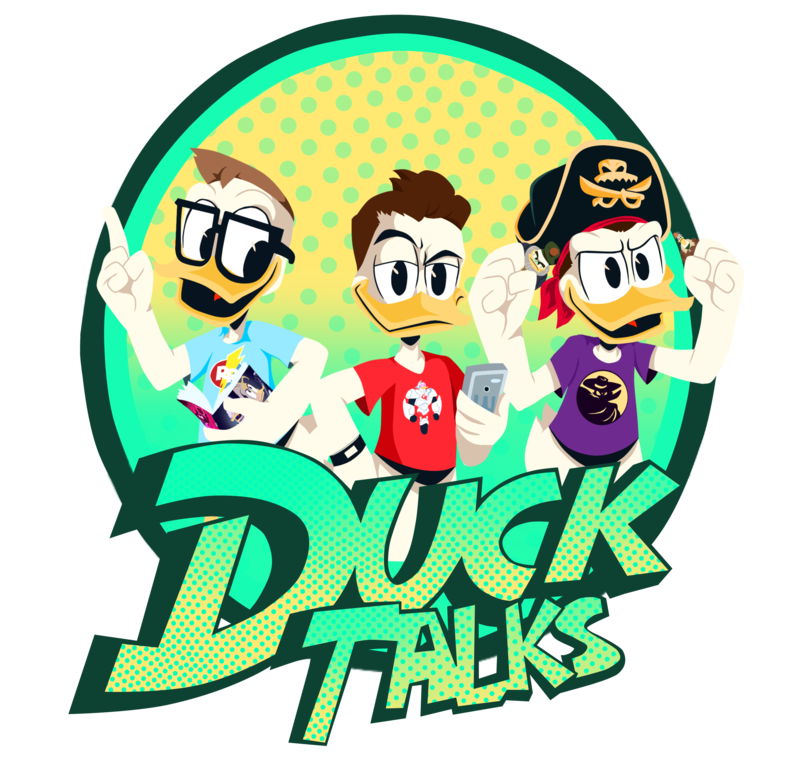 Please let us know your thoughts on this new collection by emailing us at DuckTalksPod@gmail.com or tweet at us @DuckTalks. Previous ‘A Goofy Movie” MagicBand Sighted At Magic Kingdom! Next IDW’s DuckTales #20 Preview and Review!